Just when you’re looking for new ways to bring more multicultural education to the classroom while meeting the Common Core Standards, we are thrilled to announce that we have another wonderful lesson plan to share, created by our friends at West Chester University. 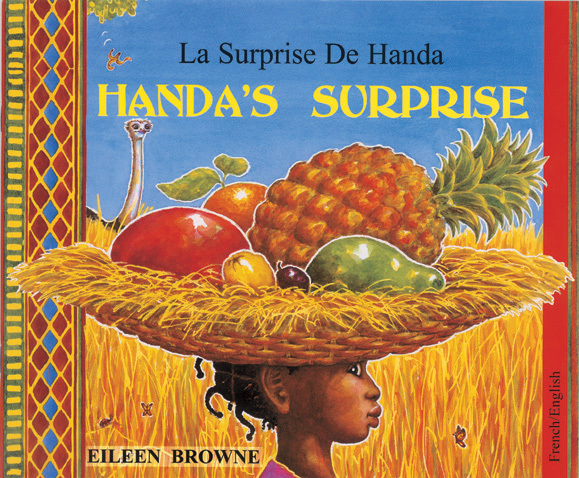 This newest unit uses two popular and beautifully-illustrated books, Handa’s Hen and Handa’s Surprise, to teach students about Kenya and, at the same time, to help them identify and use descriptive writing. Using this lesson plan, students will learn to distinguish similarities and differences in cultures and communities. They will also be able to hear some African languages spoken! For those of you who don’t yet know, Language Lizard has many complimentary lesson plans available for teachers to download. There are lessons that are specific to certain holidays (Chinese New Year, Diwali, Ramadan, Thanksgiving) as well as those that focus on certain countries (India, Korea, Japan, Romania). Others teach about understanding and appreciating differences, or bullying and problem solving. To obtain access to all the lesson plans, simply go to www.languagelizard.com/lessonplans.htm. For those interested in reading more about the adventures of Handa, we are offering a 10% discount on both Handa’s Hen and Handa’s Surprise. You can receive the discount by entering coupon code CCS-HANDA upon checkout (offer good through Nov 30, 2014).